Outlander Podcast Hosts Mary & Blake are once again joined by Outlander Author Diana Gabaldon to discuss season 4 and the beginnings of season 5. Outlander Podcast Hosts Mary & Blake chat with Outlander Actress, Sera-Lys McArthur, who plays Johiehon. Outlander Podcast Hosts Mary & Blake discuss everything YOU had to say about the Outlander season 4 finale - episode 4.13, “Man Of Worth”. Outlander Podcast Hosts Mary & Blake discuss everything YOU had to say about Outlander episode 4.12, "Providence". Outlander Podcast Hosts Mary & Blake discuss Outlander episode 4.12, "Providence". Outlander Podcast Hosts Mary & Blake discuss everything YOU had to say about Outlander episode 4.11, "If Not For Hope". Outlander Podcast Hosts Mary & Blake discuss Outlander episode 4.11, "If Not For Hope". Outlander Podcast Hosts Mary & Blake discuss everything YOU had to say about Outlander episode 4.10, "The Deep Heart's Core". Outlander Podcast Hosts Mary & Blake discuss Outlander episode 4.10, "The Deep Heart's Core". Outlander Podcast Hosts Mary & Blake discuss everything YOU had to say about Outlander episode 4.09, "The Birds & The Bees". Outlander Podcast Hosts Mary & Blake discuss Outlander episode 4.09, "The Birds & The Bees". Outlander Podcast Hosts Mary & Blake discuss Outlander episode 4.08, "Wilmington". Outlander Podcast Hosts Mary & Blake discuss Outlander episode 4.07, "Down The Rabbit Hole". Outlander Podcast Hosts Mary & Blake discuss everything YOU had to say about Outlander episode 4.06, "Blood Of My Blood". Outlander Podcast Hosts Mary & Blake discuss Outlander episode 4.06, "Blood Of My Blood". Outlander Podcast Hosts Mary & Blake discuss everything YOU had to say about Outlander episode 4.05, "Savages". Outlander Podcast Hosts Mary & Blake discuss Outlander episode 4.05, "Savages". Outlander Podcast Hosts Mary & Blake discuss everything YOU had to say about Outlander episode 4.04, "Common Ground". Outlander Podcast Hosts Mary & Blake discuss Outlander episode 4.04, "Common Ground". Outlander Podcast Hosts Mary & Blake discuss everything YOU had to say about Outlander episode 4.03, "The False Bride". Outlander Podcast Hosts Mary & Blake discuss Outlander episode 4.03, "The False Bride". Outlander Podcast Hosts Mary & Blake discuss everything YOU had to say about Outlander episode 4.02, "Do No Harm". Outlander Podcast Hosts Mary & Blake discuss the Outlander episode 4.02, "Do No Harm". 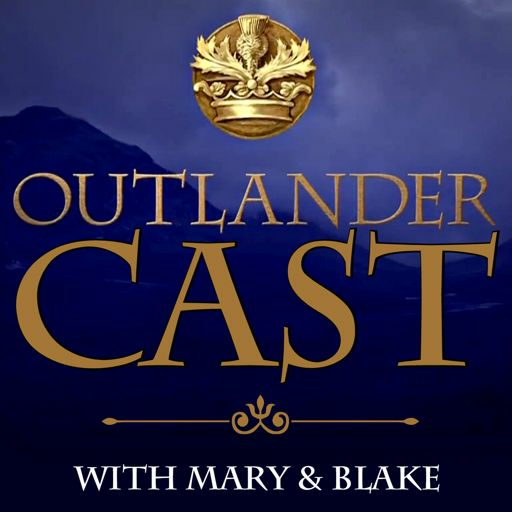 Outlander Podcast Hosts Mary & Blake discuss the Outlander Season 4 premiere, episode 4.01, "America The Beautiful"
Outlander Podcast Hosts Mary & Blake do a season 4 preview with Entertainment Weekly Writer, Lynette Rice. Outlander Podcast Hosts Mary & Blake chat with Outlander author, Diana Gabaldon. Outlander Podcast Hosts Mary & Blake break down the trailer for season 4.